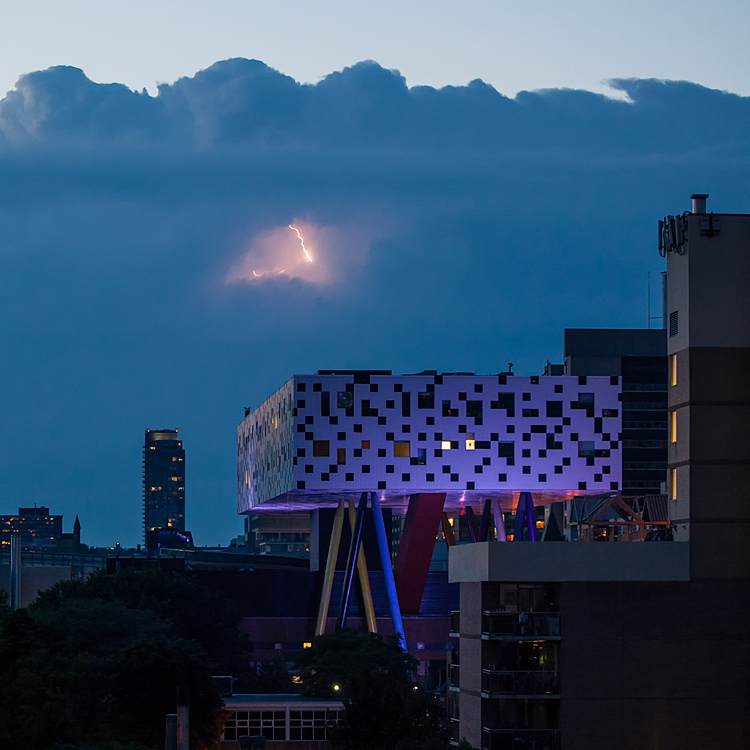 I noticed the lightning storm behind OCAD's Sharp Centre for Design building while shooting the MMVA last night. Since I didn't have a tripod on me, I took hundreds of handheld shots and captured a few usable shots. This is one of them.